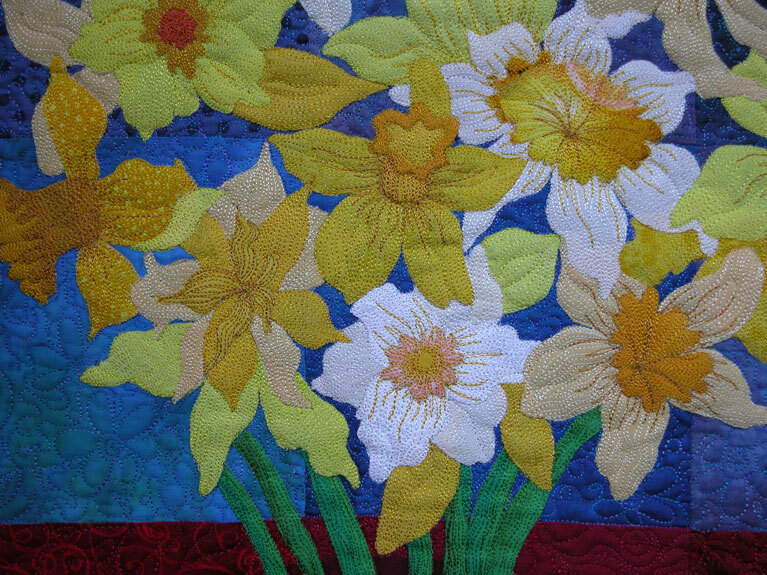 April and May are months when my house is filled with bouquets of daffodils and narcissus. The woods surrounding my home are filled with them in countless varieties. I love it when I can bring in the fresh flowers both for my table and the living room! Then what could be better than sipping a cup of hot tea while enjoying the fresh scent of the blossoms? 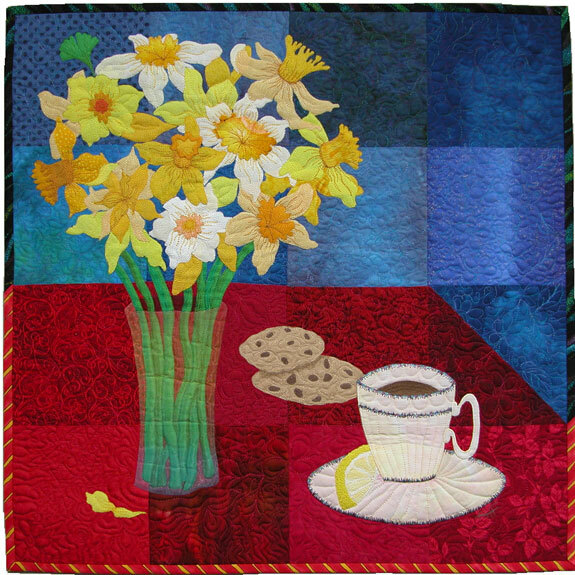 So in this quilt I've created a bouquet of flowers in a tall narrow vase of sheer iridescent polyester fabric, my favorite cup of tea, and chocolate chip cookies. You can be sure that there is a cat waiting under the table too. Each flower was created individually, then all of them were arranged together. 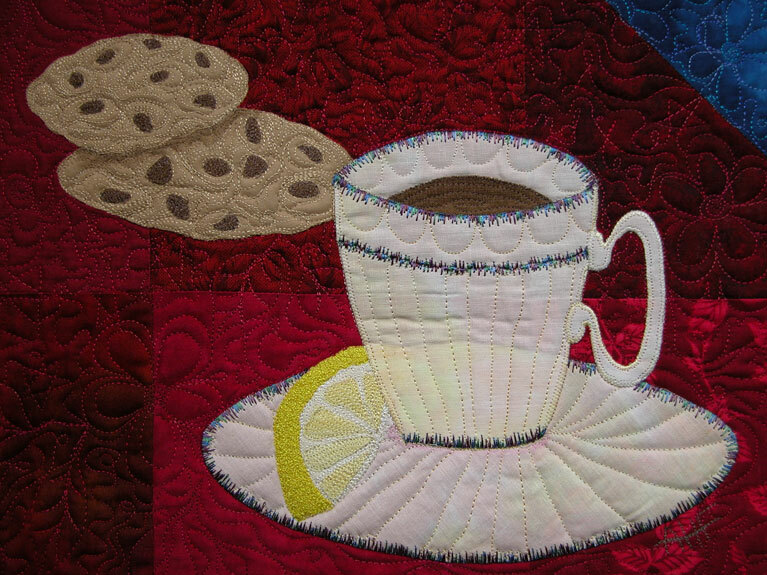 Everything is fused, embroidered and machine quilted on a background of red and blue cotton squares. 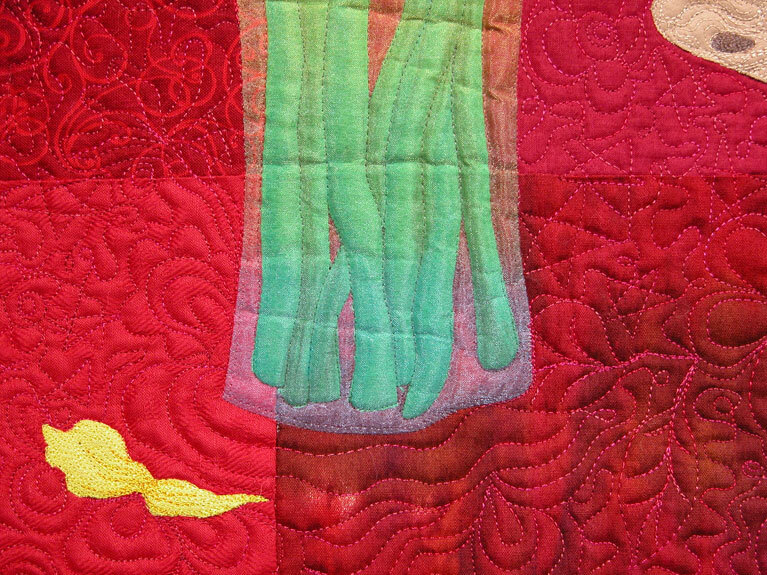 The quilting is done using both variegated blue thread and red variegated in fun floral patterns. The binding is both a dark stripe and a red/yellow stripe.